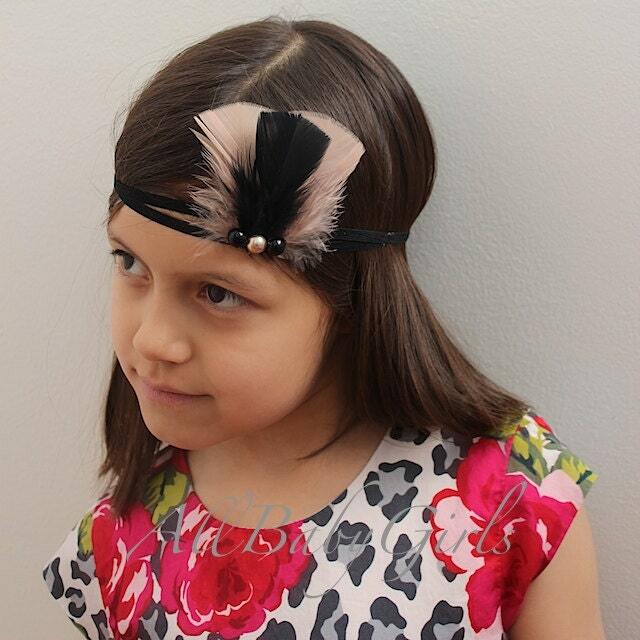 This Pocahontas Headband features 1 black feather and 2 tan feathers. They are complemented with 1 tan and 2 black pearls. Just perfect for any age! 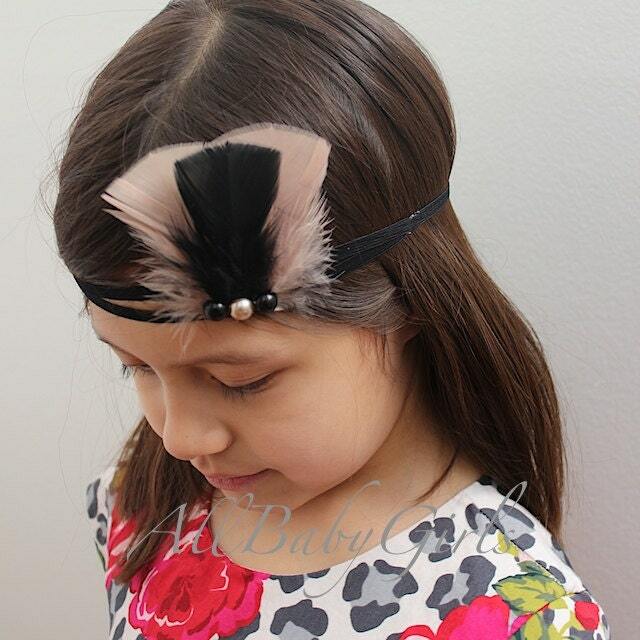 Seller was very helpful with helping to customize the headband. It took over 3 weeks for it to arrive! Quality is good.